Unieke video die pas in 2015 is vrijgegeven. Het betreft een documentaire genaamd “If Japan Can… Why Can’t We.” Met Dr. W. Edwards Deming, bekend van de Deming-circle PDCA (Plan-Do-Check-Act). 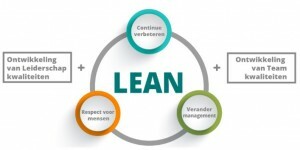 Deming heeft enorm bijgedragen aan de opbouw van Japan na de oorlog. This compelling documentary, about the ever-increasing industrial competition between the United States and Japan, introduced Dr. Deming to Americans. For the first time, they learned of the then 80-year old American who was widely credited with the Japanese industrial resurgence after WWII. Viewers were astounded to learn that it was this American, Dr. Deming, who went to Japan in 1950 and began teaching his philosophy to their leadership. They listened and learned as he taught them about quality and productivity. When the program aired, the most coveted industrial award in Japan was The Deming Prize. Named in honor of Dr. Deming, the Deming Prize is still awarded, and highly esteemed, today. Near the close of the program, Lloyd Dobyns asks Dr. Deming, “Would the same methods work in the United States…? Deming’s reply was the catalyst for relentless requests for Deming to help American businesses. Soon the icons of American industry, such as Ford, General Motors, Dow Chemical Company, Xerox and Hughes Aircraft were asking for his help.